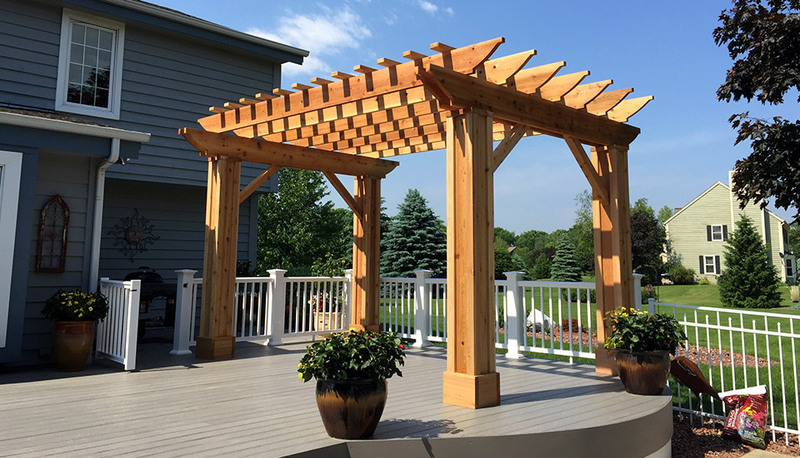 To create the ultimate in outdoor living spaces, our clients were ready to get rid of their old deck and install a large-scale custom patio complete with a beautiful pergola. 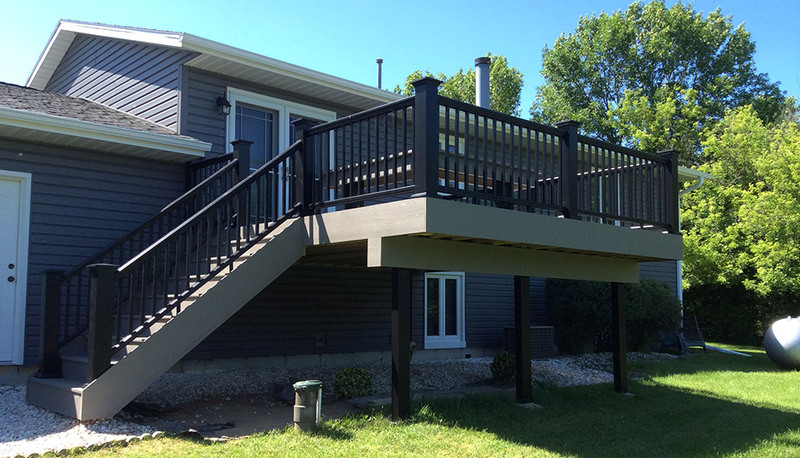 We began by completely removing the old deck and patio materials and replaced the structure with durable and reliable Azek Composite Custom Radius Decking in the color Tahoe. 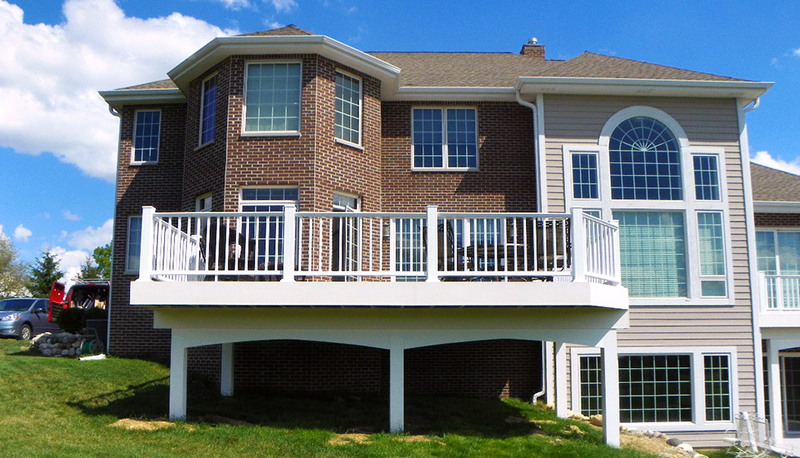 To highlight the new space, we used the Azek Trademark Railing System in white. 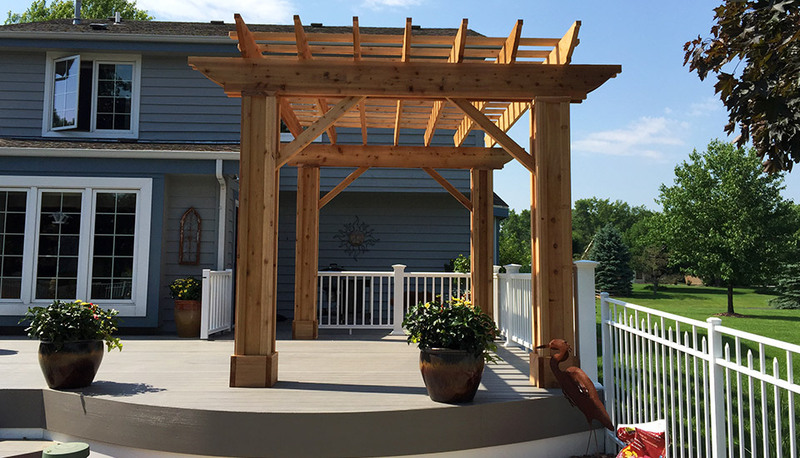 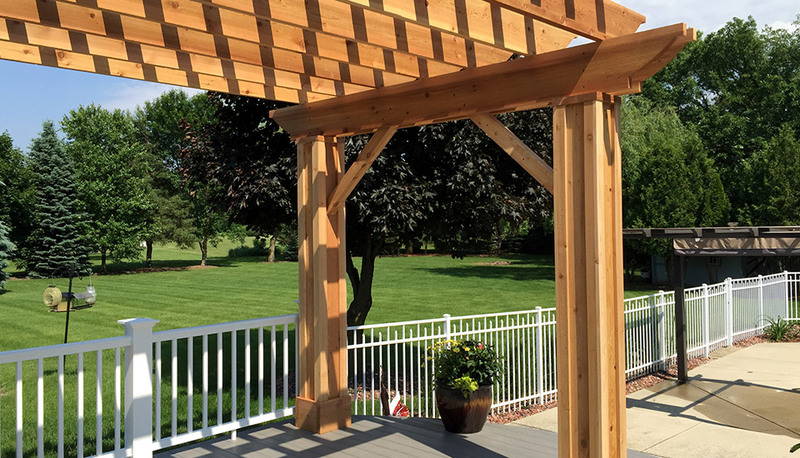 To add an elegant finishing touch, we custom designed and hand built a cedar pergola to turn this old deck into a stunning and inviting outdoor living area. 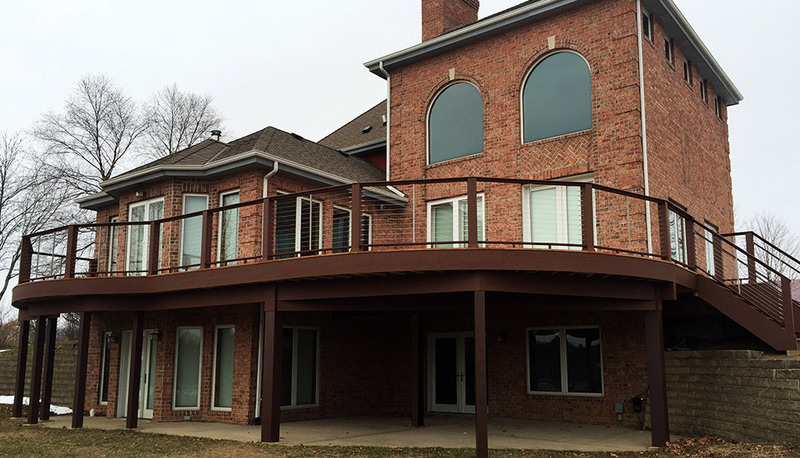 If you are looking ot start a home project of your own, contact Renz Construction today! 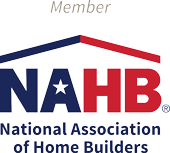 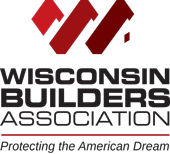 With experience in building additions, remodeling homes, and everything in-between. 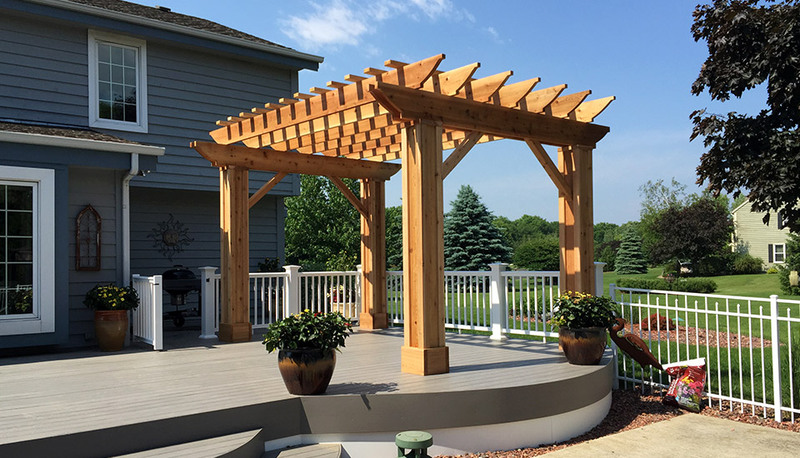 Renz Construction can help make our dream project come true!